After you've been arrested for domestic violence, you need to call a skilled criminal defense attorney in Jacksonville immediately. This is a very serious charge and the right domestic violence lawyer needs to be hired to handle your case. 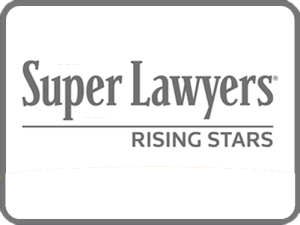 You need someone on your side willing to thoroughly investigate the issues surrounding your case. With the right domestic violence attorney in Jacksonville, you'll receive a full and fair defense. A good attorney will explore any possible self-defense claims, look into the steps taken by law enforcement, review the relationship of those involved, re-interview witnesses, collect evidence the police may have missed and review witness statements. It's common for domestic violence to happen with no witnesses to testify to the story of either party. It can quickly become a he-said, she-said type of situation and these offenses don't require the same evidence as other violent crimes. Domestic violence is a serious crime, but it can also come up as a result of tempers flaring or substance abuse. Angry accusations of a spouse, parent, child, roommate or partner could result in an arrest. If convicted, it could change your life forever. While many believe domestic violence happens between a wife and husband, it can occur in other ways. Domestic violence is defined as any violent act or a threat of a violent act between two or more people living in the same residence. This includes more than a spouse or a significant other. If you are convicted of domestic violence, you can expect it to change your life today and in the future. You will likely spend time in jail and it could lead to the loss of employment. In addition, domestic violence charges often lead to restraining orders and changes to child custody agreements. If the altercation was just threats of violence, the punishment will likely be less severe compared to charges including physical contact and injury. The courts may also consider factors, such as prior violent acts, any previous convictions and whether a weapon was present. A conviction on domestic violence charges may lead to probation, domestic violence courts, jail or prison time, anger management courses and fines. After you have been charged with domestic violence, you need the right criminal defense lawyer in Jacksonville to take your case. A good domestic violence attorney will understand the possible options for a reasonable defense. Maybe you were in a situation where you were attacked and had to defend yourself. Self-defense is not only a reasonable defense but a common defense in cases of domestic violence. In addition, you may have been defending someone else, which would fall under the defense of others. There's also the possibility of false allegations of domestic violence. This happens more often than most may think, especially in cases of child custody or divorce. The last thing you want is to face domestic violence charges alone. 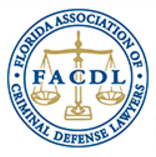 Hire a skilled domestic violence lawyer in Jacksonville to ensure you receive a solid defense. If you have been arrested on domestic violence charges Contact The Law Offices of Tassone, Dreicer & Hill today or call us at 904-396-3344.